This stunning lifestyle property is superbly private with delightful garden vistas from wherever you might be. Vast expanses of glass provide light drenched interiors opening to wide verandahs from every room. Perfect North East aspect, immaculate presentation, a wealth of features. Adaptable floor plan provides in-law accommodation or holiday letting potential. Conveniently situated – an easy 90 minutes commute to Sydney CBD, just 30 minutes to North Richmond, makes this an ideal occasional or full time residence. Raked ceilings, floor to ceiling glass sliding doors, exquisite fit out. Level ramped entry ideal for those with mobility issues. Five gently undulating park like acres, totally private easy care gardens. Double pavilion design, linked by a central entry / mud room provides three spacious bedrooms, all with walk-in robes, two full kitchens and bathrooms ~ a unique flexible floor-plan arrangement. 29 Ghost Hill Road is a delightful near new build that encompasses thoughtful planning and construction with a wealth of options. Holiday rental accommodation is in strong demand and we manage many in the district which enjoy high occupancy rates. 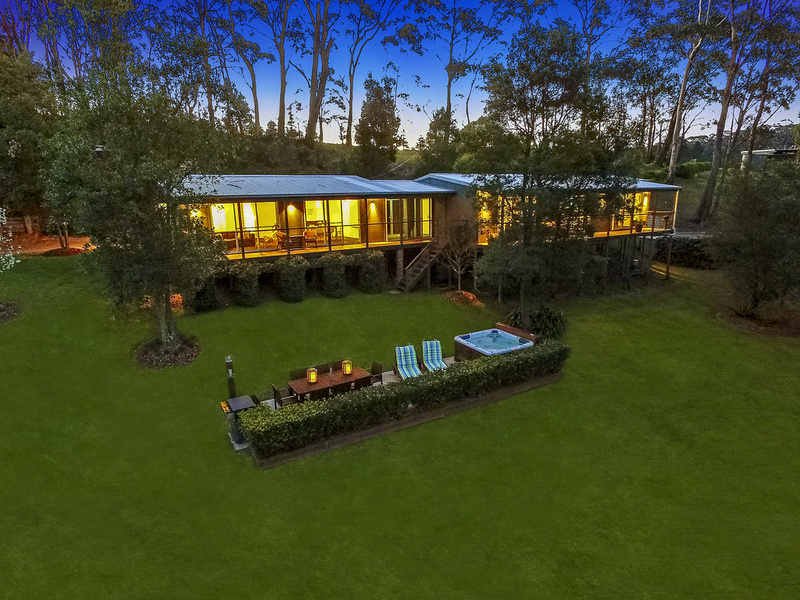 This property is ideally designed and positioned to do the same – in close proximity to Mount Tomah Botanic Gardens, wedding venues, “pick your own orchards” and beautiful bush walks. It’s your call – permanent home, with or without in-law accommodation, or a combination of those with an income – Most importantly -Come and view for yourself this masterful take on rural living – it’s fabulous !